This web site is updated daily. Hit refresh if it looks the same as yesterday. The following photos are absolute proof they drained the dams on purpose, causing severe flooding and NEVER gave california growers a SINGLE DROP for the sole purpose of killing all the orange orchards, grape vineyards and almond groves. It is important to note that with any war effort waged by the usurpers of a conquored government, that fake documentation will be produced by the government to support the lie. That is when you have to use photos to prove that the documents, which show a drought and reduced out flows, are fake. HERE IS THE PROOF. 2011 was called a drought year that was so bad they could not give the farmers any water (heads up, this is good). WELL, People noticed that, so they hatched the lie that the flooding happened because the rain was selective, and all fell in the valley and not in the mountains, which is why the dams were "empty" and they could not give the growers any water. And the media stuck with the lie, and the people trusted the media. BIG MISTAKE. CHECK MATE, THE ENEMY OF AMERICA, THE NEW WORLD ORDER AGENDA 21 ZIONIST, HAS BEEN BUSTED. HOW CAN YOU GO FROM HAVING THE DAMS BE LIKE THIS, ABOVE, IN 2011, GIVE THE GROWERS NO WATER AND THEN HAVE THE DAMS LOOK LIKE THIS, BELOW IN 2013? THEY DON'T JUST DRY UP, YOU ARE BUSTED. My guess for all of this? It is possible they are bankrupting all the growers by killing all the legacy trees via denial of water, trees which are not GMO, so that one billionaire can move into the valley, buy it all, plant it entirely with GMO and ram GMO down America's throat. It could also be that they are planning a mass starvation of the American people, and the San Joaquin, which produces practically everything from almonds to grapes to strawberries to oranges, enough for much of the world, has to be killed before they can actually succeed in starving America. 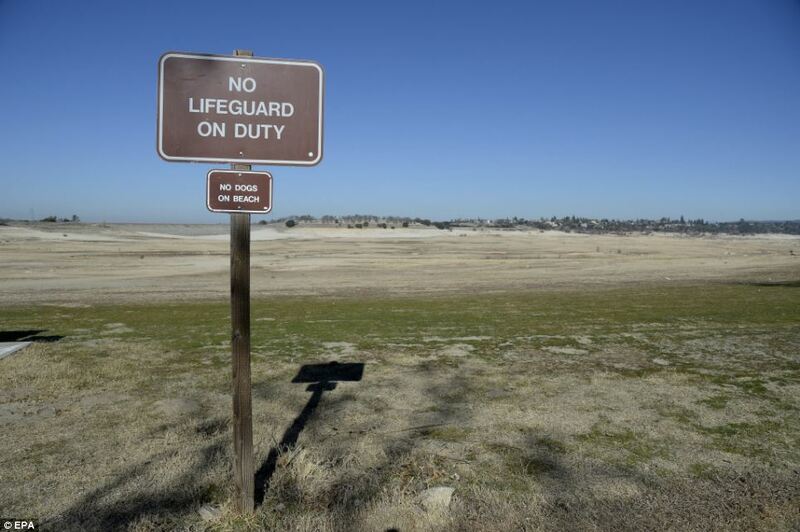 With much of what the San Joaquin produces, you can't get it back in a year, it will take decades so it won't do any good to just start managing the water properly once everyting is dead, it will take years to come back. By then the starve off will have been accomplished. They responded to this article QUICKLY. There is no underground water left as some state, all of it was pumped out in 2009 and 2010 to save the orchards when they cut the water off, and now the ocean has back flowed all the way to the valley and they can only pump salt. The water is GONE. And WHY was the San Joaquin at flood stage for three consecutive years during a "drought" if they were not letting the dams go to kill the San Joaquin valley ON PURPOSE as I clearly show below? DO NOT fall for the lies which have been and will no doubt continue to be hatched to bury this act of war, a little common sense will go a LONG WAY here. The original reason for the water shortage was to save the "delta smelt", and they evolved it into a lie about a drought which never happened. The truth is that in the bay there were salinity problems with certain species due to too much fresh water entering the bay. Its all documented here folks, read it and weep for the California Orange. I am re-posting this with updates because it is so important. I was actually in the San Joaquin valley when the effort to destroy it started. 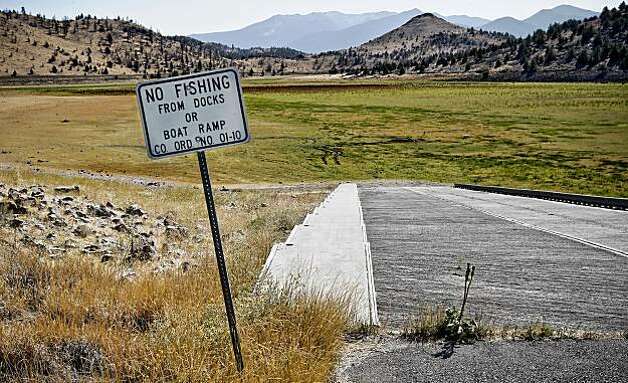 In 2008 I saw the Sacramento river carrying all the water from the dams straight to the ocean, it was obvious they opened the dams to intentionally drain them. During this time, when the river should have been at a low point, it was at flood stage and even after having a lot of experience with dangerous rivers such as the Mississippi, and having seen the Yukon at flood stage, the Sacramento river was absolutely spooky to see at this time - obvious death for even an experienced swimmer. During this time, the media was pushing the lie about how water was limited, all the while they were draining it to the ocean - "limited" because "there was a drought." But reality is that the rain in California has been within a perfectly normal range for the last 10 years, there has been no drought and even if there was a drought the reservoirs that were built to supply the San Joaquin had enough reserve, absent being drained, to keep California agriculture alive for a full five years with no rain at all. Now, (for the last six months) there really has been less rain than usual, and it is obviously caused by chem trails and Haarp. They are manufacturing a real drought at this time in the hopes that people will not realize that prior to now the rain has been perfectly normal over the last 10 years and STARTING NOW, the San Joaquin should with a truthful lack of rain be able to hold on for five years. Unfortunately the dams are already drained so they will succeed at killing the San Joaquin this summer, the summer of 2014. After draining the dams on purpose was done by the "elite" to destroy the San Joaquin valley, Haarp is being used to finish the job with a real drought. Read on, I have proof that this has been in the works for six years. Many of the orchards and prime agricultural zones have already been intentionally killed via denial of water by the choice of the elite. This was caused by draining all the dams and flushing all the water out to the ocean ON PURPOSE. 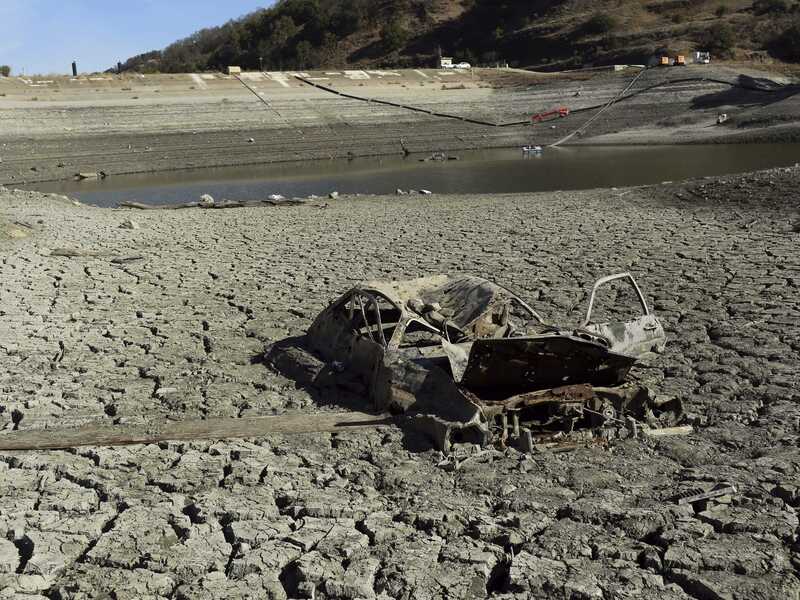 And if you believe the lies in all the stats and charts used to cover up this horrific fraud of a drought on America,TAKE A LOOK AT THIS VIDEO AND ASK YOURSELF,WHY WOULD THEY LET THAT MUCH WATER GO IF THE DAMS WERE EMPTY? THAT FLOOD SHOULD HAVE BEEN USED TO FILL THEM. America's enemies which have taken control of the country by the throat obviously want the San Joaquin gone from America's list of assets. The San Joaquin is a natural desert, which was only brought to life via irrigation projects and reservoirs. No "drought" can change this fact. Several people who are among the "elite", most notably Warren Buffet bought all the reservoirs in violation of law (at least the original law the reservoirs were agreed to be built under) and drained them into the ocean rather than give the water to the farmers (which also violated the water contracts the farmers signed onto) in the name of an imported and not native fish called the Delta Smelt. These fish were brought into California around 100 years ago and are not natural to the area at all. There has ALWAYS been plenty of water in California. The irrigation projects were vastly overbuilt and were more than enough to handle an extended drought, (which there in fact has not been despite claims) up until now. But once America's enemies among the elite got control of the dams, they simply opened the floodgates and sent all the collected water straight to the ocean down the Sacramento river, causing a large amount of flooding and draining the water supply that California orchards and agriculture needs to survive. And they did it in the name of a fish that did not belong there anyway, an obvious act of war. Since the farmers subsequently did not get their water, a lie of drought was hatched in the mainstream media (including mainstream fake alternative media), a lie laid waste by the rainfall chart that even Rense posted. This was an act of war against the American people, launched by NWO elitists to destroy America's most prime agricultural zone. Make no mistake, the New World Order crowd absolutely HATES America, and will be America's "friend" only to whatever extent it takes to deceive an ignorant populace long enough to have that populace stand idly by as America's greatest assets are WIPED OUT. The San Joaquin agricultural zone was far too much of an asset for America's conquerors to tolerate having around, so they just took control via government corruption afforded by rigged elections and shut off the water. Now there are hundreds of miles of dead orchards there, stretching as far as the eye can see. 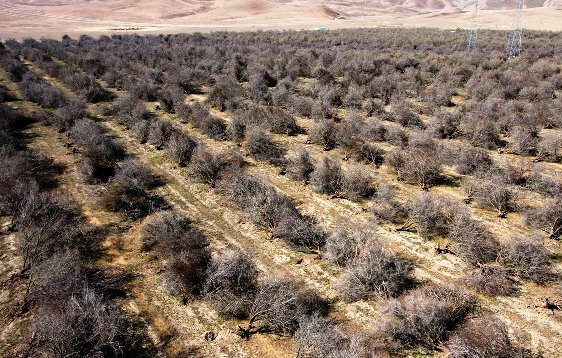 And the State mandates that the growers cut these dead orchards down, so six years into this war there are equally vast expanses of dead earth that were only a short time ago fertile orchards. So when you hear MANY in the so called "truth movement" haarp all about how the San Joaquin died because of Fukushima, KNOW THE LIE. MANY IN THE "TRUTH MOVEMENT" HAVE EVOLVED INTO BEING THE ENEMY OF TRUTH. Let's PROVE IT RIGHT NOW, with a few pictures of the San Joaquin from MORE THAN A YEAR AGO, LONG before this so-called "drought" which happens to be Haarp caused and actually is real. REAL BUT IRRELEVEANT, THE SAN JOAQUIN IS ALREADY DEAD. Here is the California precipitation chart everyone is now quoting. Look at the history here, there have been plenty of other periods that were a little bit dry. The only dry period on the chart is the recent Haarp attack that has spanned five months, since September of 2013 (when the water year starts) up until now, in Feb of 2014. 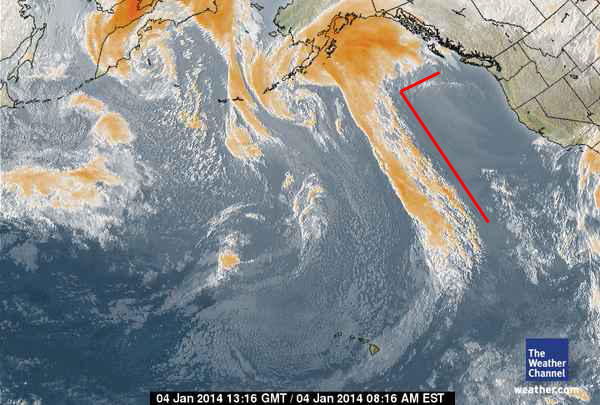 The real drought, the HAARP drought has only been going on for FIVE MONTHS. 5 months won't empty the dams or kill orchards. LOOK AT THE CHART BELOW, AND THEN TRY TO EXPLAIN THE FOLLOWING PHOTOS OF EMPTY DAMS. WHY ARE THEY EMPTY ALREADY, WHEN UP TO SEP OF 2013 THE RAIN WAS WITHIN A NORMAL RANGE? The chart from Forbes PROVES: These orchards are NOT dead because of drought and the dams are NOT empty because of drought, they are empty because a few priviledged enemies in the New World order got into America's government and chose to drain them so they can get America by the throat in a future catastrophe THEY ENGINEERED. The enemy would surely love to blame it on Fuku, DO NOT let a lack of knowledge draw you into that trap. The photo to the left, which Rense posted clearly shows that Haarp is indeed being used to stop the rain from reaching California. But this is being done to create a real drought only AFTER the San Joaquin has been severely damaged from lack of water. 2011 gave the orchards another year, up until 2010 the farmers were able to pump wells to water the valley. But the wells went mostly dry by the end of 2010, and 2011 was a godsend because they had no other water, and were denied it from the reservoirs, water which they got from a very wet year that should have filled the reservoirs. I know, I WAS THERE DURING IT. It rained all the time and this saved the orchards. But after 2011, the orchards took a severe beating from being denied water during a normal precipitation year following a very wet year that should have filled the reservoirs, and this haarp blockage will no doubt be the final death sentence for the San Joaquin, because even if there is an agreement to save the orchards, the NWO crowd already emptied the dams. There is no where to go now. Wow. Finally I am validated. You said exactly what I have been saying, that we have NOT been in a drought, that our water has been normal for years, that yes we had little rain this year but we could see blatant chemtrailing which caused it. I live in Santa Barbara where our Lake Cachuma has gone almost dry. I have considered it might be partly due to fracking, but the water system has no particular connection to oil wells here. When we moved here, SB had been in a drought for 7 years, still the Lake was fairly full. It was, they said, the first day of rain they had had, although they did have a few inches every year prior, just not much. I came from LA where I participated in 3 or 4 dry times when water was rationed. I AGREE WITH YOU that this has been done on purpose. I am a lifelong Californian. I know my environment. But, I had zero idea, had not heard at all, that they were draining the dams into the ocean. Makes total sense. I do remember one year (1970-ish) when Lake Shasta was almost dry, but it came back the next year. Lake Shasta currently seems to be the focal point of destroying our environment according to Dane Wiggington. So, Thanks for your article, but I think even if I print it out and give it to my friends and family they will likely dismiss it -- I am continually amazed at how extremely educated people do not see what is happening! The bankers have propped up the American dollar and made sure everyone got their antidepressants and stayed fat and happy. That keeps them from asking any questions. Hungry people ask questions, and when the hunger starts, the elite want there to be NO WAY to make it go away. That's how wars are often fought, and it will all be blamed on nature because people have been educated into blind stupidity as a preparatory move before killing them like idiots. I am a Southern-California resident. I wanted to give you some supporting facts in regards to the California "drought." I have been living in California for over 20 years. According to this site http://d35brb9zkkbdsd.cloudfront.net/wp-content/uploads/2014/03/20140304_CA_trd-638x501.jpg, I live in a "D3 Extreme Risk" Zone for drought, the second worst risk in the state. Despite these assertions by the State and the weather "authorities," I have not seen any evidence of drought, not in the last few years as compared to the last few decades, nor in this last year as compared to the last few years. Meaning: I haven't noticed these past few years to be any drier than the past 20 years. Nor have I noticed that this last year, 2014-2015, has been any drier than than the years between 2010-2014. In fact, about two years ago I moved to a new house. I was told that during rainy season, a small waterfall sometimes formed in a secluded part of the property. However, I never saw it form during the rainy season of 2013 - 2014. This year, though? This year a waterfall DID form, and it was beautiful, and flowing. So apparently the drought is not bad enough to prevent a seasonal stream/waterfall from forming in one of the most dry parts of the state.